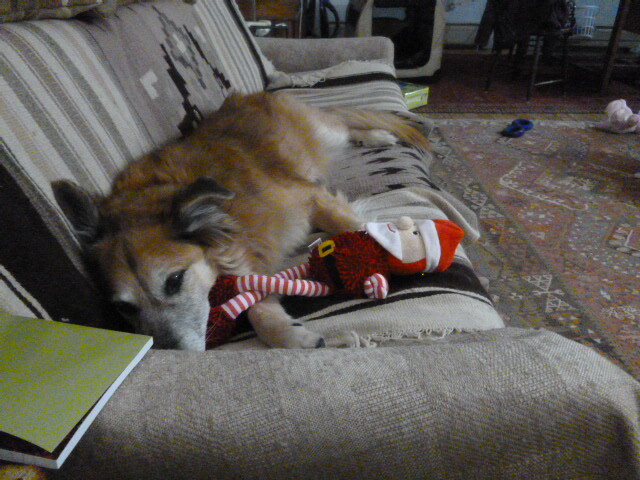 New, seasonally appropriate, toy | Can I Bring the Dog? I fell for a stuffed Santa at TJ Maxx the other day. Just the right mix of textures for my boy. Each leg and arm is actually the same soft rope, so there is some great tugging to be had. 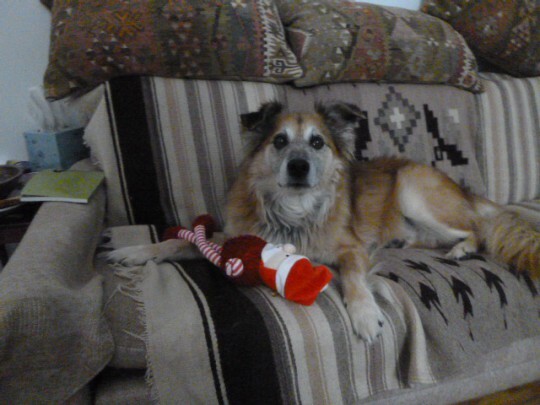 This entry was posted in Uncategorized and tagged dog toy, santa. Bookmark the permalink.